Now that Ciaran Foy’s Sinister 2 is nearing its nationwide release in a couple of weeks, horror maestros Blumhouse Productions have debuted a series of high-res screenshots for the sequel that ought to send a shiver or two down your spine. Maintaining the film’s decidedly retro, almost melancholic theme, the only sign of Bughuul is in the eerie snap of the blood-splattered child, with the demon’s elongated, silvery hand clamping onto his shoulder. Make no mistake though, we fully expect that the ancient, malevolent demon is responsible for the underlying terror glimpsed in the remaining images. Taking the reins from Scott Derrickson following his move to Marvel and the Benedict Cumberbatch-led Doctor Strange, Foy will be working from a script penned by Derrickson and his writing partner, C. Robert Cargill – the pair who transformed Sinister into the sleeper horror hit of 2012. On the other side of the lens, Sinister 2 will ditch the story threads of Ethan Hawke and his haunted family in favor of a mother-of-two, who soon discovers that her house is the target of Bughuul’s latest reaping. Shannyn Sossamon, James Ransone, and Robert and Dartanian Sloan complete the cast. As the unmitigated experts of churning out successful, low-budget horror franchises – see Paranormal Activity, The Purge and Insidious – it’s likely that Blumhouse will at least marinate on the potential of Sinister 3, though we fully expect the threequel’s existence to hinge on Foy’s soon-to-be-released thriller. Mr. 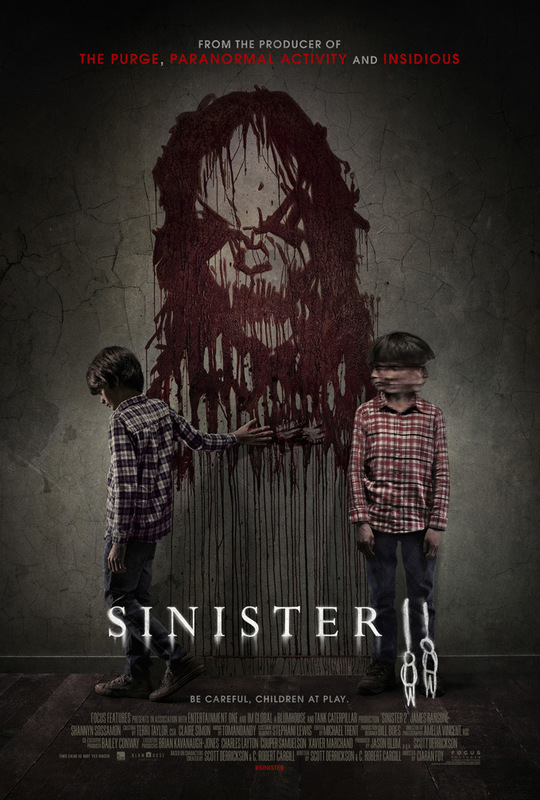 Boogie himself – aka Bughuul – will return to haunt your dreams when Sinister 2 looms into theaters on August 21, 2015.